The Trials of Cato formed in Beirut in the summer of 2015 and spent a formative year performing traditional music on the Lebanese music scene and developing their sound. Following their debut at Radio Beirut in September 2015, they went on to regularly fill some of Beirut’s foremost music venues. Since returning to the UK, their feet have hardly touched the ground as they are booked up at folk clubs and festivals across the country thanks to a formidable live reputation. 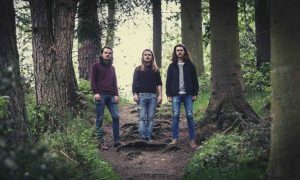 Their eponymous debut EP has been well received, and was described as ‘one hell of a calling card’ in FATEA Magazine earlier this year. The Trials of Cato are now hard at work developing their debut album alongside their busy gigging schedule.